Odell Beckham Jr., an NFL superstar who has had to leave multiple games this year to receive IVs because of cramping, dislikes drinking water because it gets all “sloshy” in your stomach. Come on. After Beckham left a game against the Eagles in Week 6, head coach Pat Shurmur said he was dehydrated again. “Some guys’ bodies dehydrate quicker than others, so we just have to keep looking for ways to make sure he stays hydrated,” he said. The span of human history has shown that drinking water is the best way to stay hydrated. No need to credit me for that one, Coach. 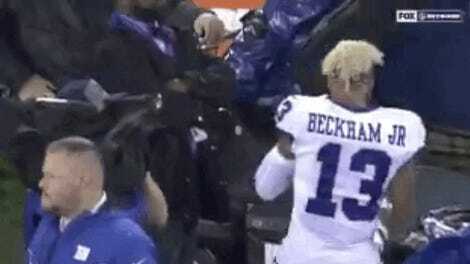 Beckham and Shurmur do not share the same opinion on water. Is this yet another rift for the Giants, over a basic human necessity? 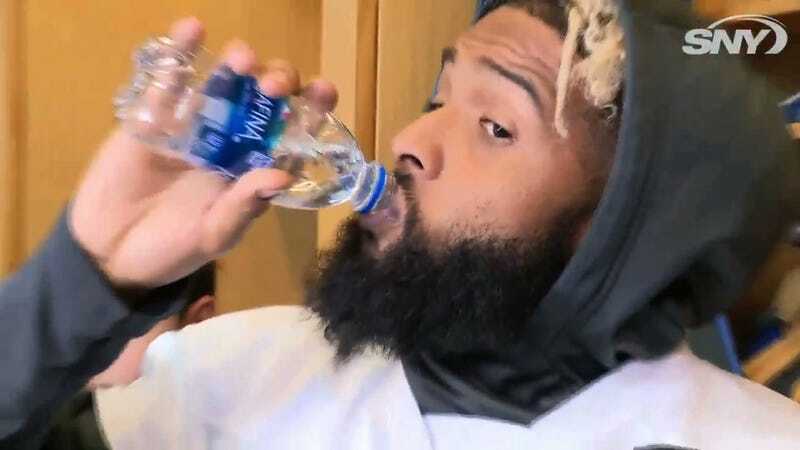 Great news: Odell’s drinking some water. Mmm. Good job. You, reading this: Go drink a glass of water. Thank you.